There has been a fire onboard a Royal Caribbean cruise ship while in port and all guests were mustered to their evacuation stations. Freedom of the Seas which is operated by Royal Caribbean had a fire in a ship’s mechanical space this morning (July 22). Heavy thick black smoke was seen coming out near the pool deck. The large vessel was just pulling into Falmouth, Jamaica when the fire broke out and as a precaution the ship’s captain mustered all guests to their assembly stations. 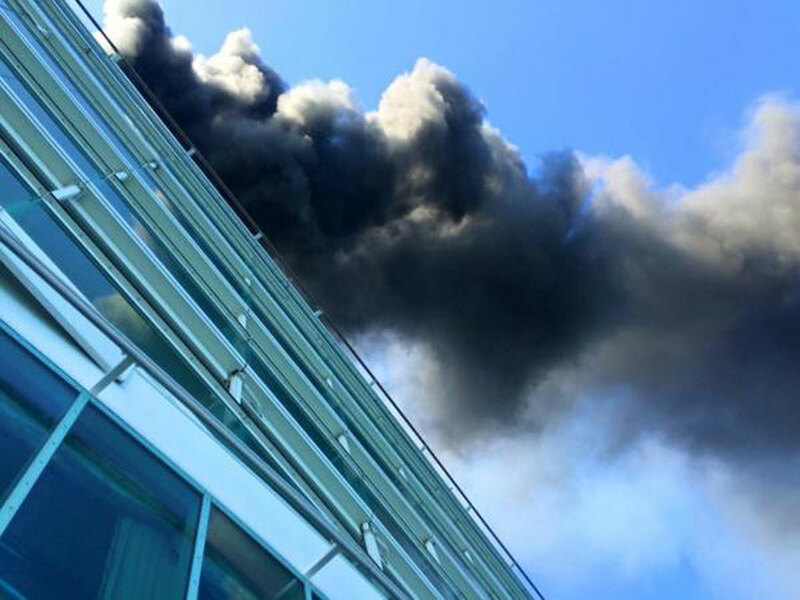 Freedom of the Seas experienced a fire in a mechanical space as the ship was pulling into Falmouth, Jamaica. The ship’s fire suppression system was immediately activated, which contained and extinguished the fire. In an abundance of caution, the Captain mustered all guests at their assembly stations. The ship is currently alongside in Falmouth and all systems are functioning. Freedom of the Seas is currently on a seven-night sailing that departed Cape Canaveral, Florida, on Sunday, July 19, and includes port calls to Labadee, Haiti; Falmouth, Jamaica; George Town, Grand Cayman, Cozumel, Mexico. Freedom of the Seas is docked in Falmouth, Jamaica and the cruise line has stated that the ship is functioning as normal. The 160,000 gross ton ship is currently sailing a 7-night western Caribbean cruise that set sail from Cape Canaveral, Florida on Sunday July 19. The itinerary includes calls at Labadee, Haiti; Falmouth, Jamaica; George Town, Grand Cayman, Cozumel, Mexico.